When you feel the need to support your cardiovascular health, there are some foundational nutrients that you should look for in a supplement. 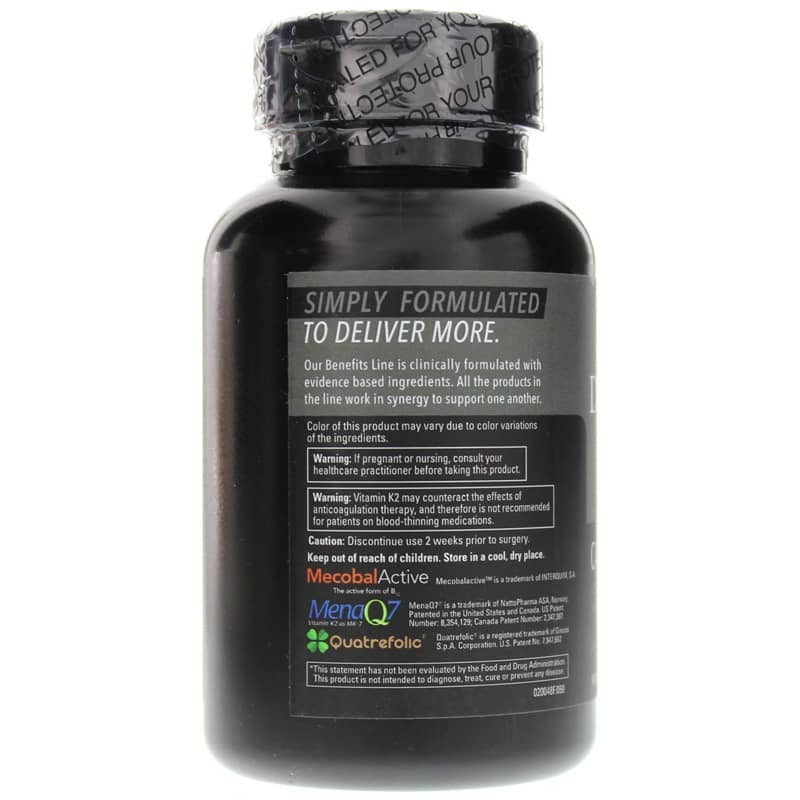 These include Coenzyme Q10, vitamin B12 and magnesium. Each of these has its own supportive functions. For example, CoQ10 is highly concentrated in the heart muscle. It is believed that low CoQ10 levels may result in heart and blood pressure issues. And, magnesium works to support blood vessel function. Study results are showing promise that it may support normal serum lipid profiles and blood pressure in women. 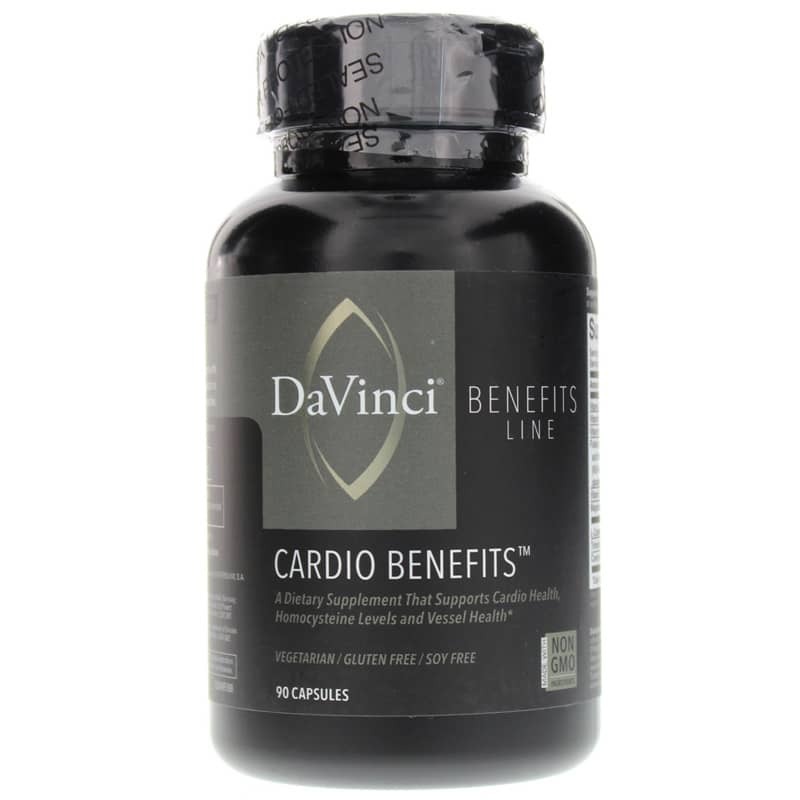 DaVinci offers a dietary supplement called Cardio Benefits™ that seeks to support cardiovascular and blood vessel health. 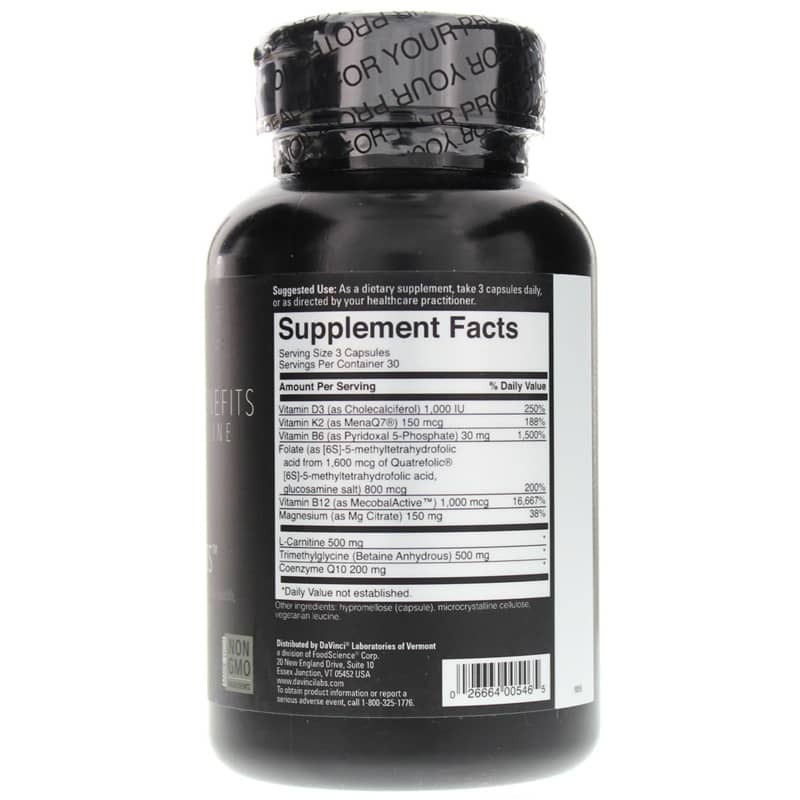 This supplement contains vitamin D3, vitamin K2, folate, vitamin B6, magnesium, vitamin B12, carnitine, trimethylglycine and coenzyme Q10. It is free of gluten and soy. If you're looking for a natural supplement that seeks to support cardiovascular and blood vessel health, consider DaVinci's Cardio Benefits™. Order online today! Contains NO: gluten, soy. Non-GMO. Vegetarian. Adults: As a dietary supplement, take 3 capsules daily, or as directed by your healthcare practitioner. Caution: Discontinue use 2 weeks prior to surgery. Vitamin K2 may counteract the effects of anticoagulation therapy, and therefore is not recommended for patients on blood-thinning medications. If you are pregnant or nursing, please consult your healthcare professional before using this product. Keep out of the reach of children.